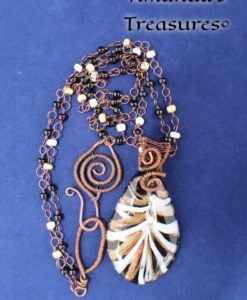 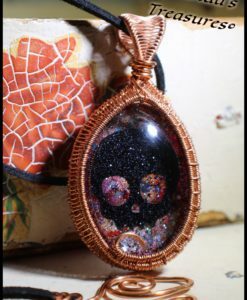 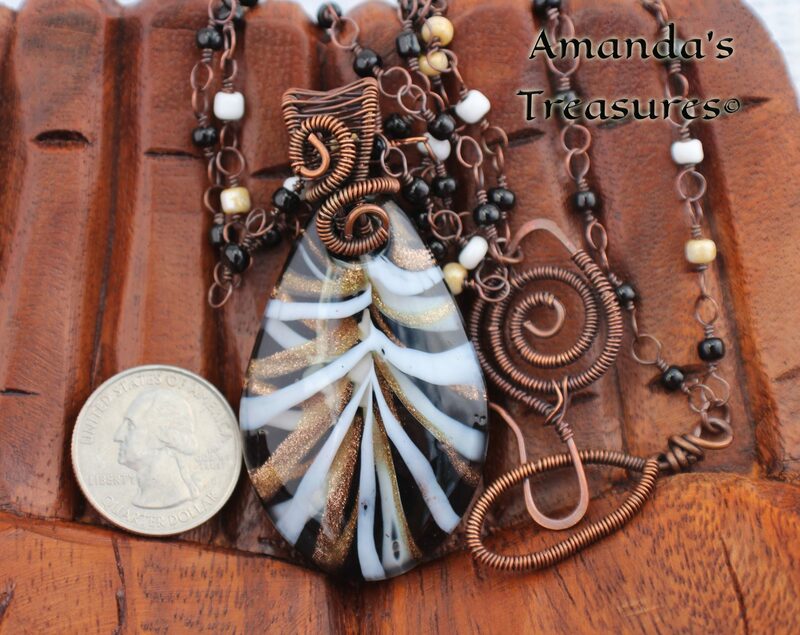 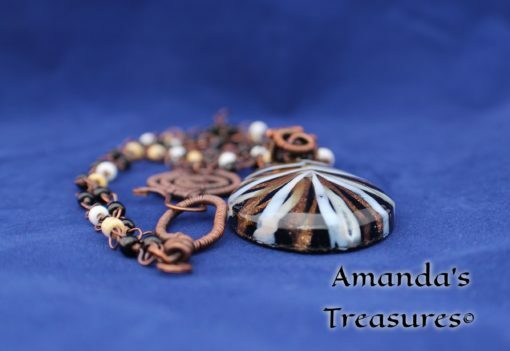 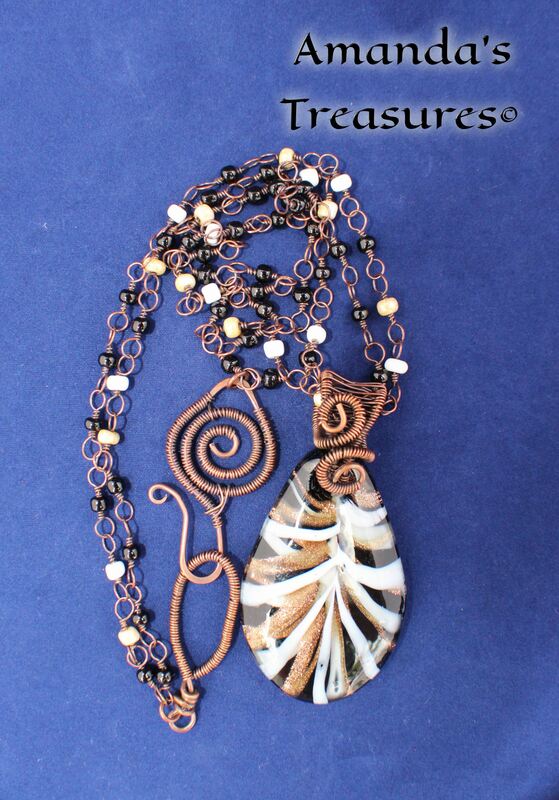 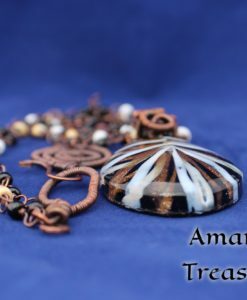 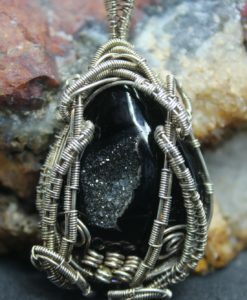 The pendant on this necklace is a truly stunning piece of lampwork glass, with the contrast between the black and white streaks are shimmering strands of gold. 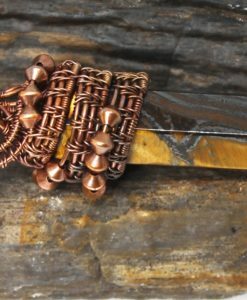 The clasp is hand forged and wrapped. 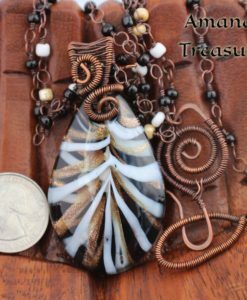 Black White and Gold has double lengths of hand-beaded chain that are done in the colors of black, white and tan, each bead of the chain was hand wrapped to make links. 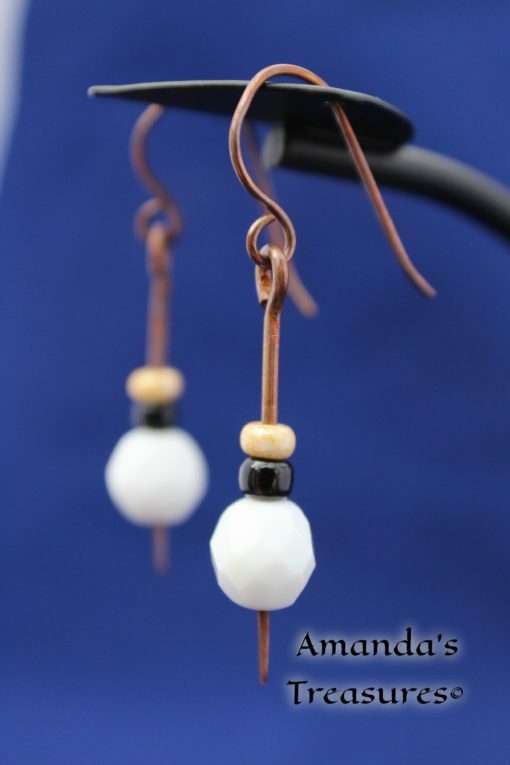 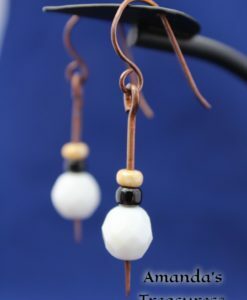 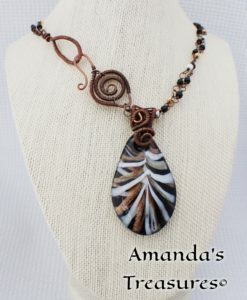 The necklace comes complete with a complementing pair of handmade earrings. 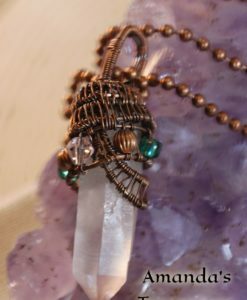 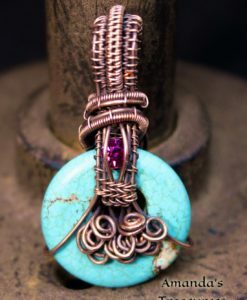 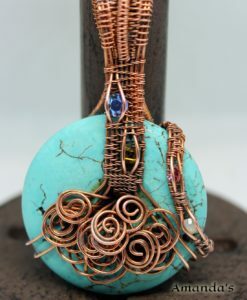 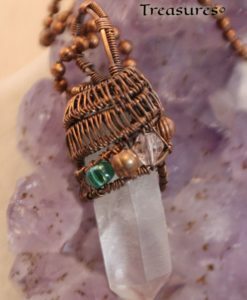 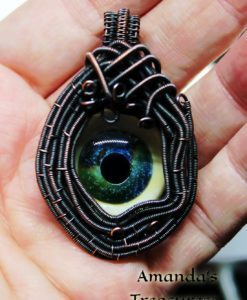 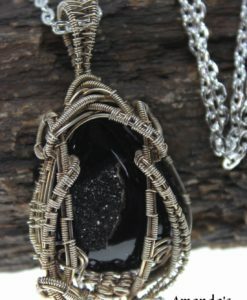 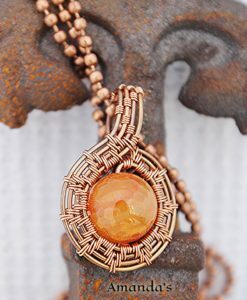 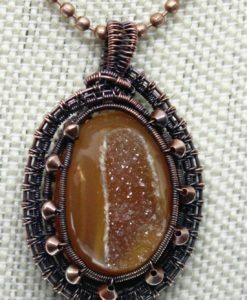 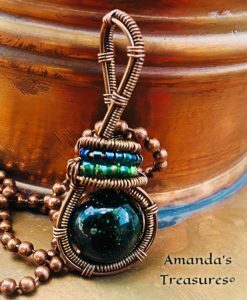 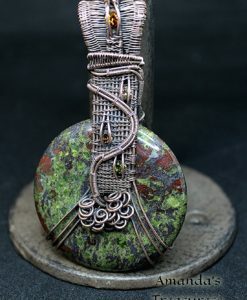 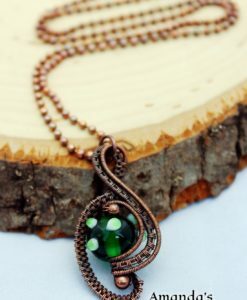 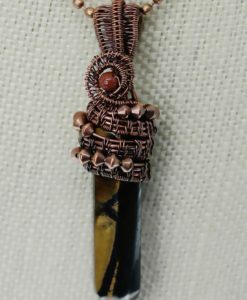 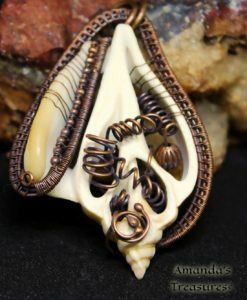 This is one of my favorite copper wire wrapping techniques. 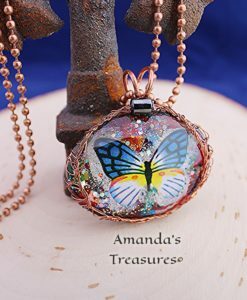 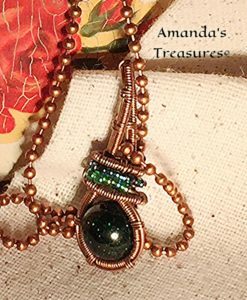 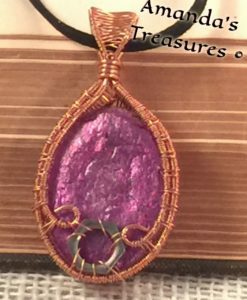 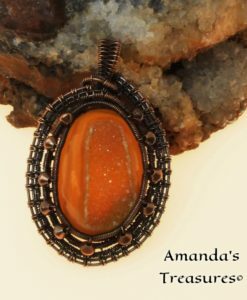 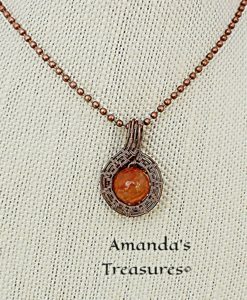 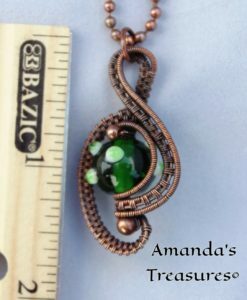 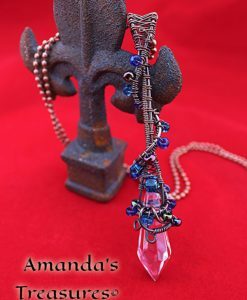 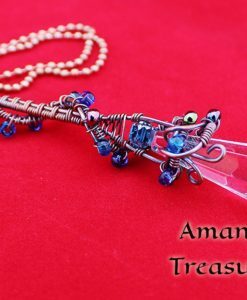 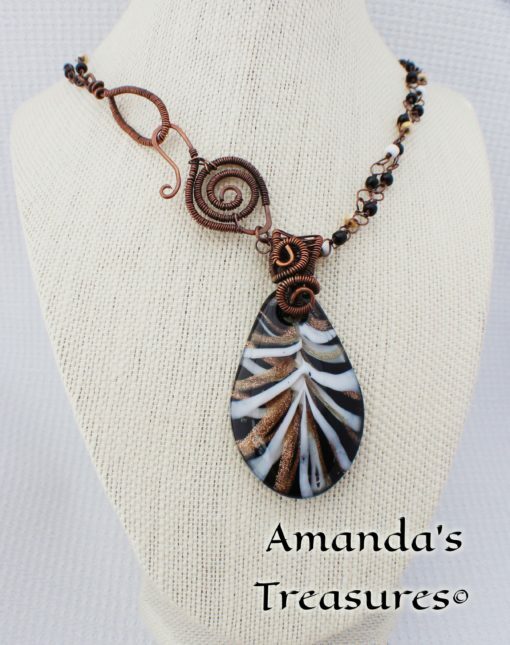 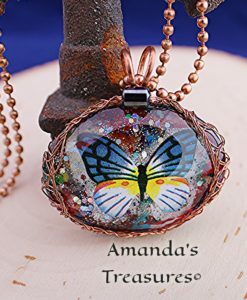 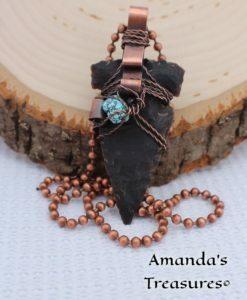 Original design from Rhonda Chade, handmade by Amanda’s Treasures.